The Poverty of Nations comes with enthusiastic endorsements: Robert Sirico says that “The table of contents alone provides clearer instruction than many graduate students get in economics courses” and Rick Warren asserts that “It should be required reading in every Christian college and seminary, by every relief and mission organisation, and by every local church pastor”. The authors have high ambitions: they state that their goal “Is to provide a sustainable solution to poverty in the poor nations of the world” (page 25) and that their “primary audience” is Christian leaders in poor nations (page 31), and they hope that Christians in more prosperous nations will also read the book. Readers, therefore, start with great expectations. Unfortunately, however, many will end up disappointed. Although the underlying thesis is sound and the book contains sensible analysis, it suffers from serious deficiencies. Wayne Grudem is a well known theologian and Barry Asmus an equally well known economist. Both are committed Christians and are at pains to stress that financial well-being is not the ultimate goal in life. Indeed, this may be the only economics book that contains a call to trust in Jesus Christ (page 41). Nonetheless, the book’s subject is material well-being. The authors suggest that, once the fundamentals are understood, “it becomes evident that if we want to solve poverty, the correct goal is that a nation continually produces more goods and services per person each year” (page 45). They passionately believe that the best (perhaps, only) mechanism for achieving this is the free market but they also emphasise that “the right kind of economic system does not by itself bring a nation out of poverty” (page 107). They discuss the importance of political and legal systems (especially the rule of law, property rights, the absence of corruption and the provision of adequate education and healthcare), various different kinds of freedom (including freedom of movement and of establishment and freedom from excessive regulation) and core political values (i.e. cultural attitudes and norms). The authors place the responsibility for pulling a nation out of poverty firmly with the nation’s own leaders. They recognise that wealthy nations have a part to play (e.g. by lowering trade barriers and stopping “commodity dumping”); they accept that limited, targeted use of foreign aid may be appropriate (although they repeat the well rehearsed arguments against its widespread use); and they recognise that some of the blame for Third World poverty rests with more wealthy nations. However, they conclude that “even if external factors or entities have had some negative effect in poor nations, they are still secondary causes of poverty today, not primary causes” (page 83). The poor are not poor because the rich are rich. The authors recognise that what they are saying is not new. In particular, they owe a huge debt to David Landes, quoting “The Wealth and Poverty of Nations” several dozen times (perhaps, excessively). Nonetheless, it is good to see the core arguments for a free market system clearly re-asserted and the chapter on its moral advantages is particularly welcome. The authors defend the system against all comers and suggest that, even in relation to the evils of selfishness and materialism, it is better than the other options. Conversely, they attack these other options, quoting with approval Claire Berlinski’s summary of Margaret Thatcher’s view that “socialism was not a fine idea that had been misapplied, it was an inherently wicked idea” (page 198). There are also shorter but nonetheless interesting discussions of the dangers of governments becoming monopoly purchasers and the moral issues associated with “wants” (i.e. desires), which the authors suggest should not be equated with greed but rather regarded as “a good thing, part of God’s original creation” (page 218). This leads to the conclusion that “it is important for people to think of an “ideal” life as one of joyful production that benefits both themselves and others” (page 345). So what is wrong with the book? First, it tries to deal with too many different issues. It contains no less than 79 different recommendations and the result is that the second half of the book at times feels like a list. Many of the points overlap (which results in repetition) and some are not properly argued or developed. For example, the brief discussion of need for religious freedom fails to show how it connects with economic growth, whilst the discussion relating to the family (including sexuality in general) is shallow. In principle, the idea of bringing together a theologian and economist is a good one, allowing the economic analysis to be firmly grounded in theological and ethical considerations. However, in practice, the result is that neither the economic nor the theological arguments are properly developed. In particular, some of the biblical analysis is disappointingly superficial and contentious. 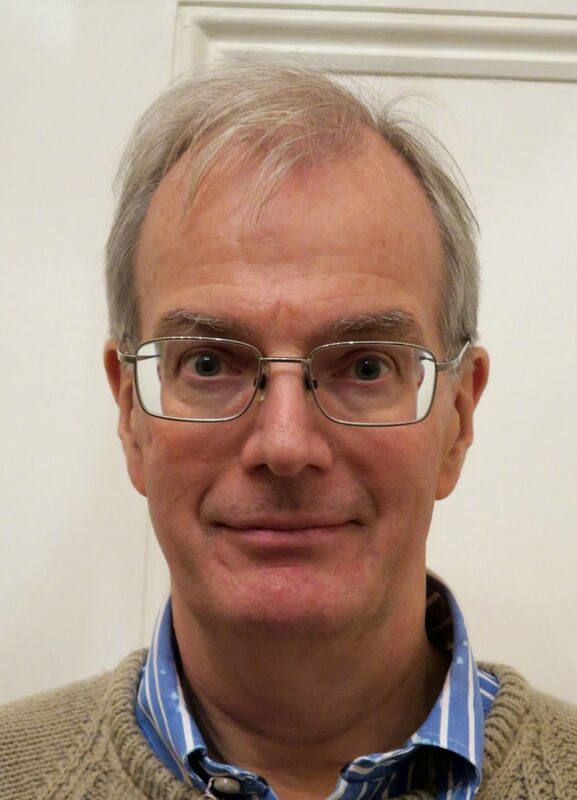 For example, Grudem argues that the Bible sees the role of government as being essentially limited but fails to explain why it is that the authors favour universal compulsory government provided education (which many Christians until the 20th century would have strongly opposed). The authors place great weight on the Biblical command to “Be fruitful and multiply and fill the earth and subdue it” (Genesis 1:28, which they quote a dozen times). This is a good starting point for a Christian view of economics but the authors place a weight on it that it cannot bear. In particular, it underlies their comments relating to the need to secure “freedom to utilise energy resources” (page 283) and other comments relating to the environment, some of which are highly contentious yet asserted in strident terms. This is a pity because (as Landes has pointed out), the Judeo-Christian subordination of nature to man has been important to economic development and there is a dangerous element of pagan animism underlying parts of the ecological movement today. The statement that society needs to believe “that the earth’s resources will never be exhausted” (page 339) is another example of the same issue. There is a respectable case for this belief and it is important to challenge at the doom mongers who for two centuries have been constantly warning of catastrophe caused by excessive resource utilisation. However, the single page that the authors devote to this subject results in their claim appearing as an a priori belief rather than a carefully thought through conclusion. More generally, despite the acknowledgement that the free market system is not perfect (page 207), the book contains little in the way of balanced critique of it and it is disappointing that, after some very good analysis and foundation laying in the first two-thirds of the book, the final third leaves one with the impression that the authors are inviting poorer countries to adopt the U.S. system wholesale, including things such as the right to bear arms (page 232) and the U.S. concept of patriotism (page 359), which do not appear to have much to do with economic development. These are serious defects. They are likely to alienate many readers and fail to persuade others who might be open in principle to persuasion, including the Third World leaders who the authors claim are their target audience. Furthermore, those wanting detailed historic economic analysis would be better off with The Wealth and Poverty of Nations. Nonetheless, there is enough that is good within the book to make it worth reading and it might also be useful as a book to be critically discussed in the Christian colleges, seminaries, relief and mission organisations and churches to whom Rick Warren has recommended it. 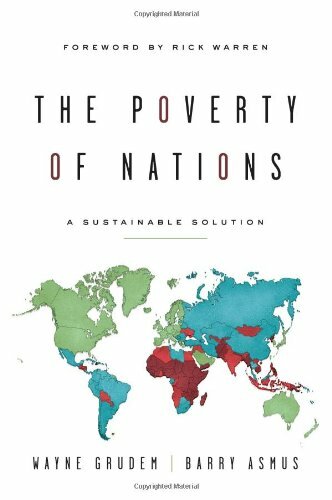 “The Poverty of Nations: A Sustainable Solution” was published in 2013 by Crossway (ISBN: 978-1-4335-3911-4). 373pp (excluding bibliography).